A nested state is called a direct substate when it is not contained by any other state; otherwise, it is referred to as a transitively nested substate. I want to understand the difference between a "direct substate" and a "transitively nested substate". The quoted sentence says one is contained by another state, and the other is not. But if both are nested, then surely both are contained by another state? idle has neither direct nor transitively added substates. Not the answer you're looking for? Browse other questions tagged uml state finite-state-machine or ask your own question. Are there two type of associations between objects or are there just different representations? 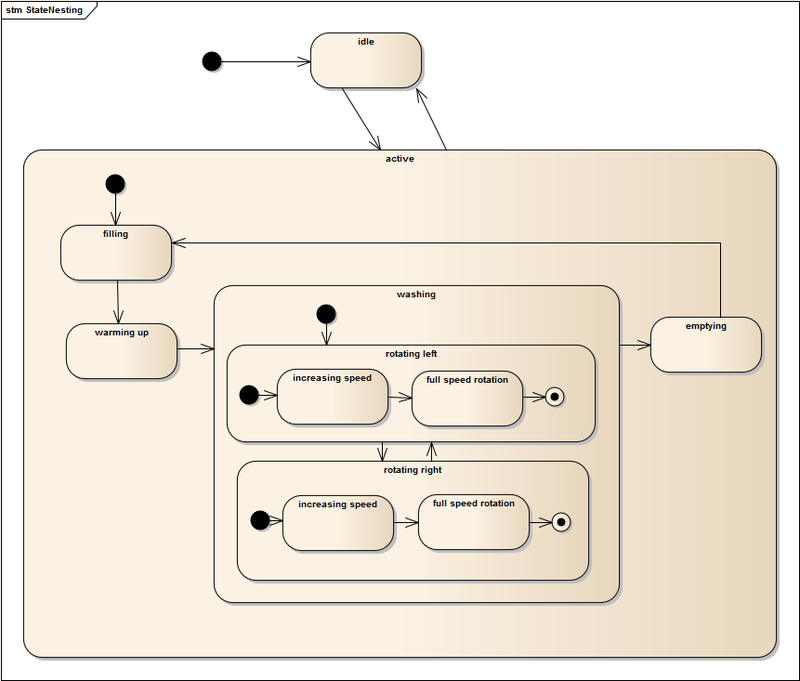 UML - may a uml diagram contain different types of uml models? How to model attribute dependency “inside one class” in UML class diagram?